Residents of the Severn Estuary and surrounding areas are invited to contribute to A Forgotten Landscape, a new project celebrating the unique landscape, people and stories of the Severn Vale Levels area. Local people can take part by contributing stories, letters, photographs or other memories to A Forgotten Landscape’s archive or by attending one of the upcoming free workshops on storytelling, writing and photography. Apart from collecting and writing stories, the project is involving local residents in a number of ways, from archaeological digs, to bird identification training, to reviving historical land practices in the area, such as coppicing, hedge-laying and cider-making. Through conservation and restoration, increased engagement with and understanding of the land, and training in local heritage skills, the project’s aim is for people in the area to become directly invested in its protection, ensuring a thriving landscape for future generations to enjoy and learn from. The free workshops start on 9 November in Thornbury where there will be two events at Turnberrie’s Community Centre on Bath Road. The first workshop ‘Stories of the Severn Vale Levels’ takes place from 2pm to 5pm, and will cover topics including innovative ways to present content online, creating audience personas to help communicate with target audiences, and how to appraise existing content. The second workshop ‘Interviewing and writing for the web’ takes place from 6.30pm to 9.30pm and will cover topics such as understanding what makes a good story and how to compile a story list, writing for a target audience, and how to structure a story, along with an opportunity to interview local people with stories to tell. The third workshop ‘Imagery and Photography’ takes place on Tuesday 1 December, from 10am to 1pm, at Lawrence Weston Community Farm in Bristol. Topics covered will include how to use camera settings, tripods and other equipment, framing, lighting and digital camera techniques, and how to consider the difference between portrait, environmental and landscape photography. Cllr Brian Allinson, Chair of South Gloucestershire Council’s Planning, Transportation and Strategic Environment Committee, said: “As a central hub and resource for the whole project, we want to encourage residents to document their experiences both past and present. We’re interested in the whole picture, including wildlife, archaeology, geology, farming, industry, culture, society, transport and events. 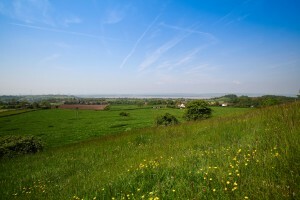 The Lower Severn Vale Levels cover an area stretching from Avonmouth in the south along the banks of the Severn to Shepperdine and Hill including towns and villages such as Severn Beach, Pilning, Aust, Olveston, Thornbury and Oldbury-on-Severn. A Forgotten Landscape is run by a partnership of private and public organisations, and hosted by South Gloucestershire Council. The project was granted £1,017,200 by The Heritage Lottery Fund (HLF).